BEST BARTENDER on the BEACH! Kitchen 305 is back at it again with a new and exciting competition for BARTENDERS!!! 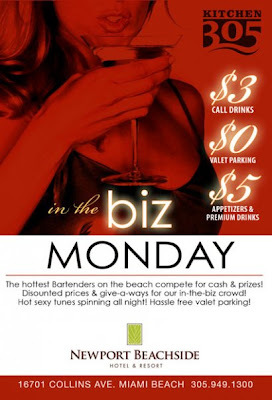 Starting Monday March 1st we are having a 12 week challenge EVERY MONDAY for Miami's BEST BARTENDER ON THE BEACH!! 2ND Place receives $50 Bar Tab following week!